Are you looking for an international tax accountant to help with US - Canada or Canada - US tax preparation? 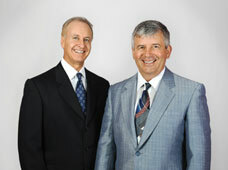 Serbinski Accounting Firms specialize in Canadian and American cross-border taxation. As a cross border tax accounting firm, we bring over 30 years of international tax expertise to our clients in Canada and the U.S. With offices in Toronto and Chicago, we are ideally poised to help clients on either side of the border, and are licensed to represent you in all states and provinces. Book your consultation now if you need your 2017 or prior year income tax returns prepared. Click on the above link for further information. View or download current tax articles. Contact us for your cross border taxation needs. The U.S. Government is suing a Canadian resident for failure to file Foreign Bank Account Reports in this CBC article dated March 16, 2017. Send us a document, return or file using our secure server. As a result of the likelihood of increased government scrutiny of all returns filed, we have this year implemented our “Prepaid Audit Assurance Program". Under this Program, we cover the costs of representation in the event you are audited. Tax Effect of Expatriation From the U.S. Taxation can be the most complicated and stressful part of your international move. We are experts in income tax and estate-planning issues faced by individual Canadian and American expatriates living in their neighbouring country. A US Canada tax preparation expert will guide you through the minefield of double taxation and ensure you only pay what you are legally required. We offer corporate tax services to businesses opening cross-border branches or filing tax returns for expat employees. We also consult businesses considering doing business in the U.S. or Canada. These services include tax planning and advice on incorporation and entity structure for corporations, partnerships and sole proprietorships transitioning from one country to another. We also provide confidential services to lawyers, accounting firms, and other financial professionals who can benefit from our international tax expertise. Our accountants understand the interaction of the Canada U.S. Tax Treaty with domestic tax rules. Our services include compliance and research either through your firm, or directly to your client. U.S. shareholders of Controlled Foreign Corporations may now need to pay a one time transition tax of 15.5% of accumulated post 1986 foreign earnings. Tax Cuts and Jobs Act - Summary of changes in individual tax. The NIIT applies to U.S. citizens, even if they reside outside of the U.S., and can result in additional non creditble tax to be payable.